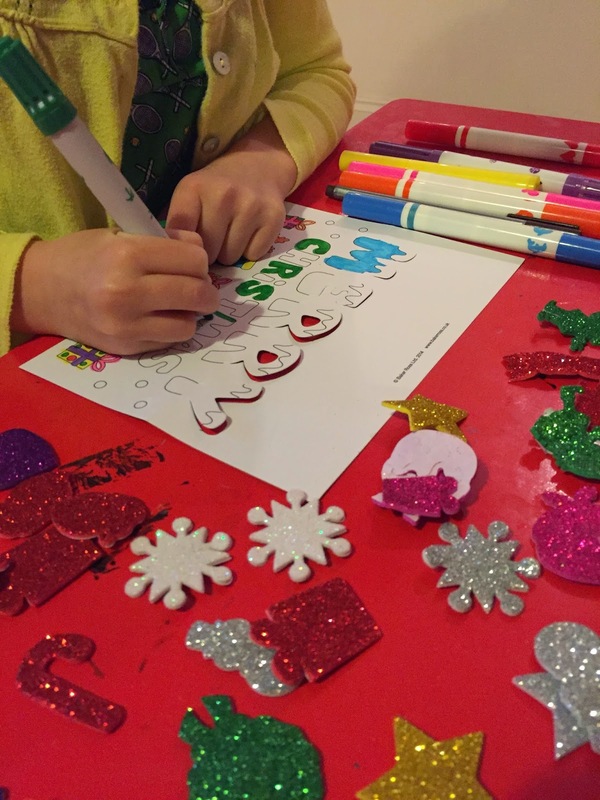 A Happy Healthy Mummy: Xmas craft - a great way to countdown to Christmas! 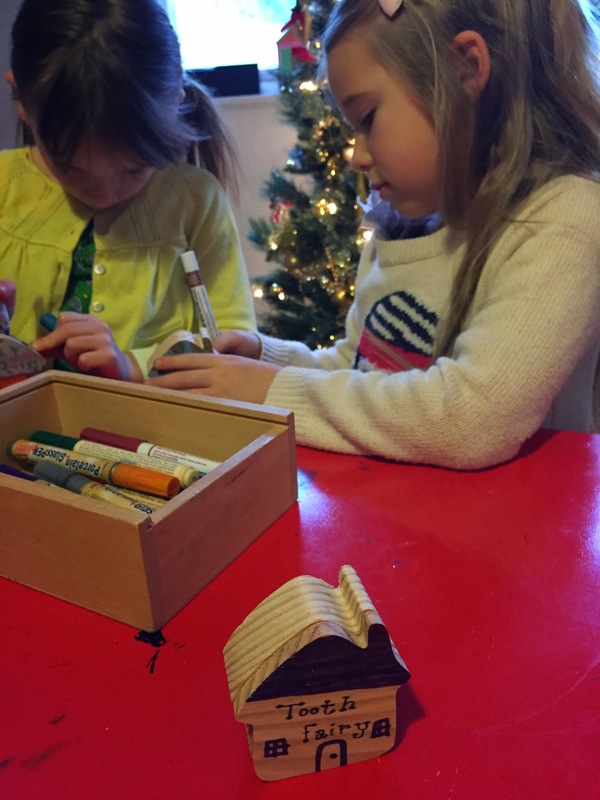 Xmas craft - a great way to countdown to Christmas! When the weather outside is frightful, why not have a day indoors making delightful Christmas crafts with your kids? It's the perfect way to pass the time in the upcoming school holidays - when the countdown to the big day dominates every conversation! Get making with little wooden houses that can easily become home to lost teeth or found treasures. Decorate with paint, pens, stickers or gems. Give them to best friends or keep them for yourself. If you've got some presents to wrap harness your helpers! Start out with some plain brown parcel paper and let them personalise it with self-inking stamps - you could even add some sparkly stickers. And there's nothing better than keeping over-excited kiddies busy with some colouring! Handmade cards are great for the grandparents and aunties - and these will encourage your little crafters to stay within the lines while playing about with colour. And why stop with just pens - think glitter glue and cotton wool for that extra-special Xmassy touch. And while everybody likes to give gifts at Christmas - it's also kinda nice to receive too! If your children like to make for their own ends - or you're short of seasonal things to occupy young guests over the festive period, why not stock up on these easy-peasy foam Santa Workshop houses (they come in packs of two). My two managed the project alone - which would free up time to get the sprouts prepared at least! Nothing says Christmas more than glitter on the floor and happy little faces! Yellow Moon provided the Xmassy craft so that I could write this blog. I provided the kids! And they say the camera never lies - lol! Not long now - have a great one!